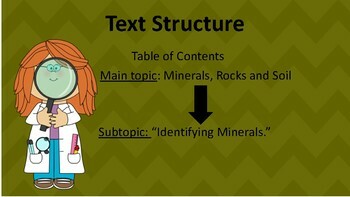 These are comprehensive 9 day PowerPoint lessons that are aligned directly with the Bookworms reading curriculum. 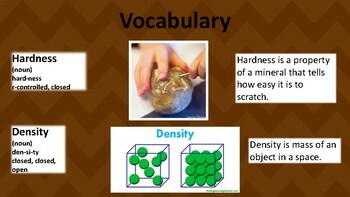 It features the vocabulary and comprehension questions for students to interact with. 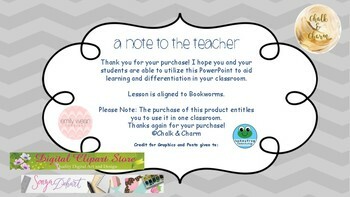 Each powerpoint has notes in order to provide the teacher with more explanation as to how they should be teaching each lesson. 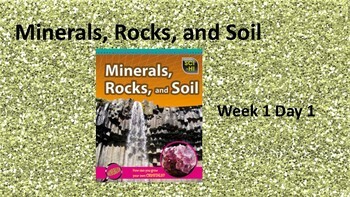 All you need to go with these PowerPoints is the Minerals, Rocks, and Soil books. This product is meant to be user friendly, please leave feedback!